The John Quincy Adams Presidential Dollar was first released into the channels of circulation on May 15, 2008. This represented the sixth overall release of the Presidential Dollar series and the second coin released during 2008. John Quincy Adams was the son of the second President John Adams. During his Presidency, he proposed a system of roads and canals to increase trade in the United States. He served one term as the 6th President of the United States from 1825 to 1829, after which he served nine terms in the House of Representatives. There was no official launch ceremony for the John Quincy Adams Presidential Dollars, however an unofficial ceremony was held in Quincy, Massachusetts. A John Quincy Adams imitator greeter visitors to the Adams National Historical Park. 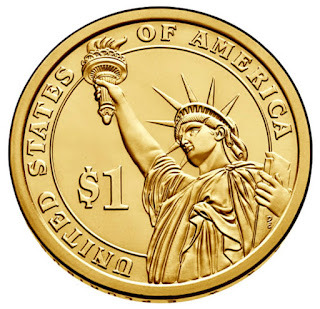 Visitors exchanged paper dollars for new dollar coins at the Quincy Credit Union. The obverse of the John Quincy Adams Dollar features a portrait of the President and the reverse features the Statue of Liberty design used on all Presidential Dollars. 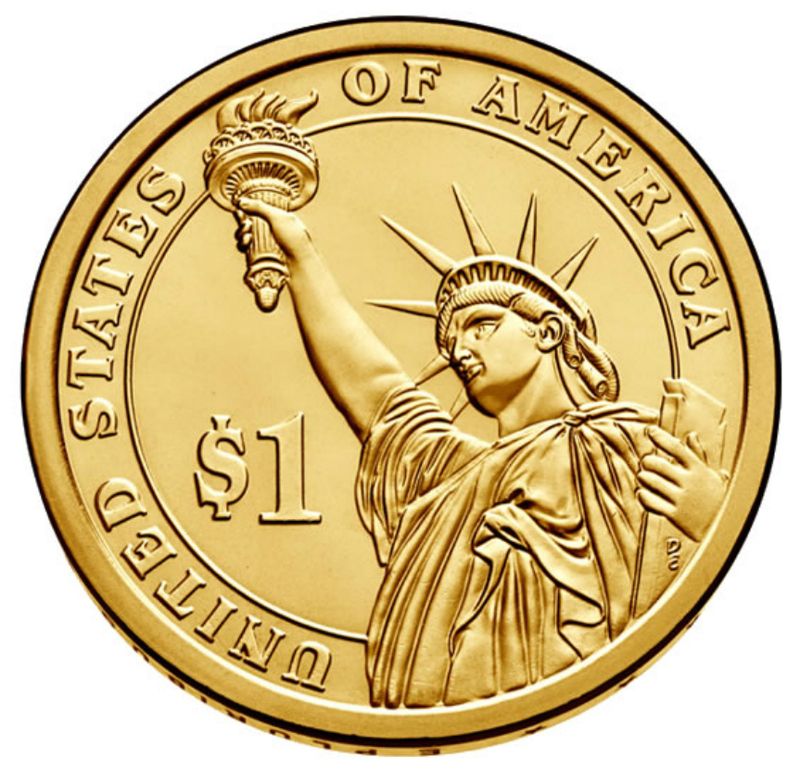 Both the obverse and reverse of the coin were designed and sculpted by Don Everhart. Mintages continued to trend lower with the release of the John Quincy Adams Dollar. Each release of the series following George Washington experienced a lower overall mintage than the coin before it. For this release, the Philadelphia mint produced 57,540,000 coins and the Denver mint produced 57,720,000 circulating coins. John Quincy Adams (July 11, 1767 – February 23, 1848) was an American statesman who served as the sixth President of the United States from 1825 to 1829. He also served as a diplomat, a Senator and member of the House of Representatives. He was a member of the Federalist, Democratic-Republican, National Republican, and later Anti-Masonic and Whig parties. In his biography, Samuel Flagg Bemis argues that Adams was able to "gather together, formulate, and practice the fundamentals of American foreign-policy – self-determination, independence, noncolonization, nonintervention, nonentanglement in European politics, Freedom of the Seas, and freedom of commerce." John Quincy Adams was the son of President John Adams and Abigail Adams. As a diplomat, Adams played an important role in negotiating key treaties, most notably the Treaty of Ghent, which ended the War of 1812. As Secretary of State, he negotiated with Britain over the United States' northern border with Canada, negotiated with Spain the annexation of Florida, and drafted the Monroe Doctrine. Historians agree he was one of the greatest diplomats and secretaries of state in American history. As president he sought to modernize the American economy and promote education. Adams enacted a part of his agenda and paid off much of the national debt. However he was stymied time and again by a Congress controlled by his enemies, and his lack of patronage networks helped politicians eager to undercut him. He lost his 1828 bid for re-election to Andrew Jackson. Adams is best known as a diplomat who shaped U.S. foreign policy in line with his ardently nationalist commitment to U.S. republican values. More recently, he has been portrayed as the exemplar and moral leader in an era of modernization. During Adams' lifetime, technological innovations and new means of communication spread messages of religious revival, social reform, and party politics. Goods, money, and people traveled more rapidly and efficiently than ever before. Adams was elected as U.S. Representative from Massachusetts after leaving office, serving for the last 17 years of his life with far greater acclaim than he had achieved as president. Animated by his growing revulsion against slavery, Adams became a leading opponent of the Slave Power. He predicted that if a civil war were to break out, the president could abolish slavery by using his powers. Adams also predicted the Union's dissolution over the slavery issue, but said that if the South became independent there would be a series of bloody slave revolts. — authorizes employment of clerks at the Mint; and authorizes the Director of the Mint to assay bullion not intended for coinage and to issue certificates of fineness at the owners’ expense. 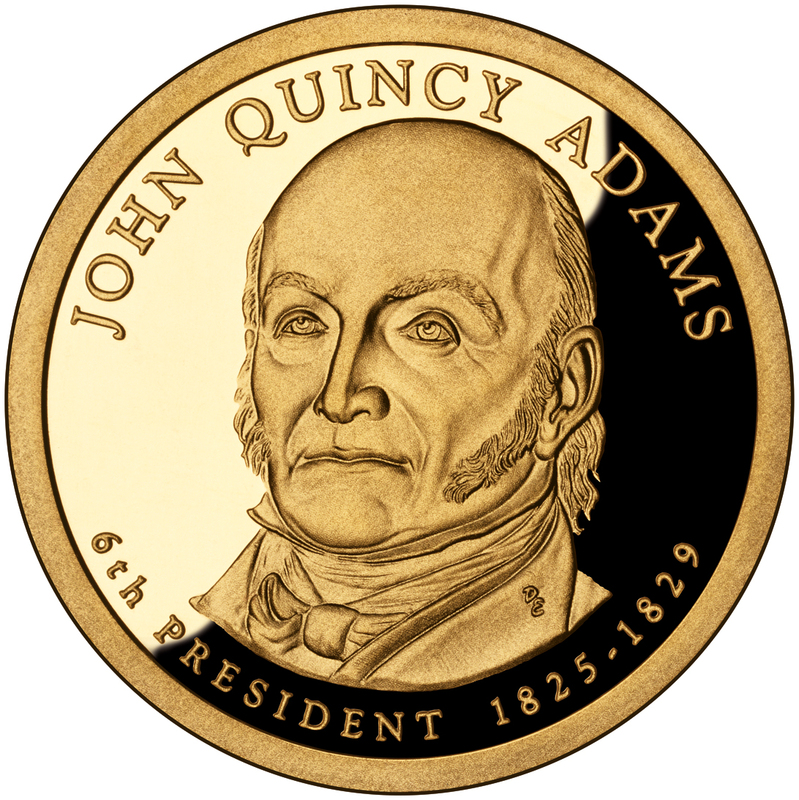 President John Quincy Adams did not appoint a Director of the United States Mint.